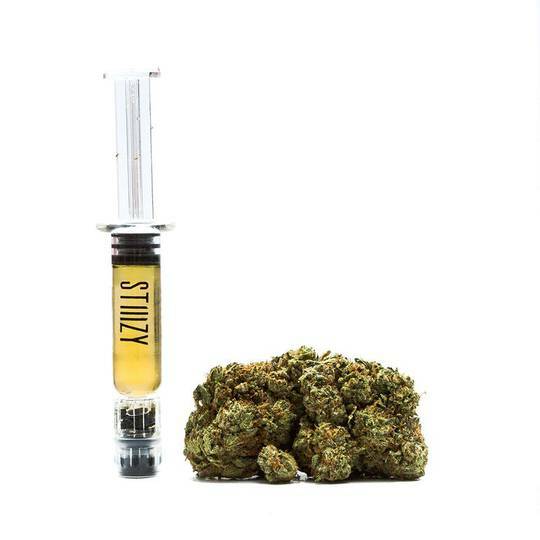 One of best ways to enjoy STIIIZY concentrates is with our easy to use syringes. Our syringes offer patients the chance to customize their high, whether for dabbing, to enhance a joint or as cherry-on-top of your bowl, the choice is yours. Syringes are also ideal for precise dosing and oil conservation. Our plunger dispersal mechanism ensures there’s no leakage. Users say San Fernando Valley OG is euphoric and mood-boosting while also relaxing and sedating. Patients dealing with mild to moderate cases of depression, chronic pain due to injury or illness, muscle spasms, and stress will find relief after a few tokes of SFV OG.